Neo-Victorian Villainy: Adaptation and Reinvention on Stage, Page and Screen. "In what ways do modern representations of the villain in popular culture draw on the narratives and iconic villains of the Victorian period?" The symposium featured papers on neo-Victorian ghosts and vampires, the neo-Victorian villainess, Dickens adaptations, neo-Victorian espionage, melodrama, Batman, Ripper Street, and spirit mediums. 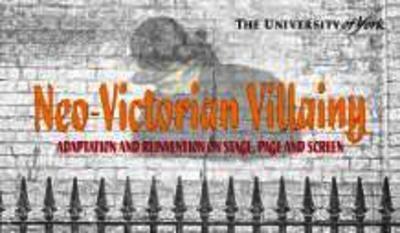 My work adapting classic Victorian novels, including those by Charles Dickens, Sir Arthur Conan Doyle and Charlotte Bronte, was discussed in a practitioner panel with Dr Ben Poore (University of York) and fellow playwright Michael Punter.